I call this Kyoto Guide for lack of a better word. This isn’t a ‘guide’, not really. 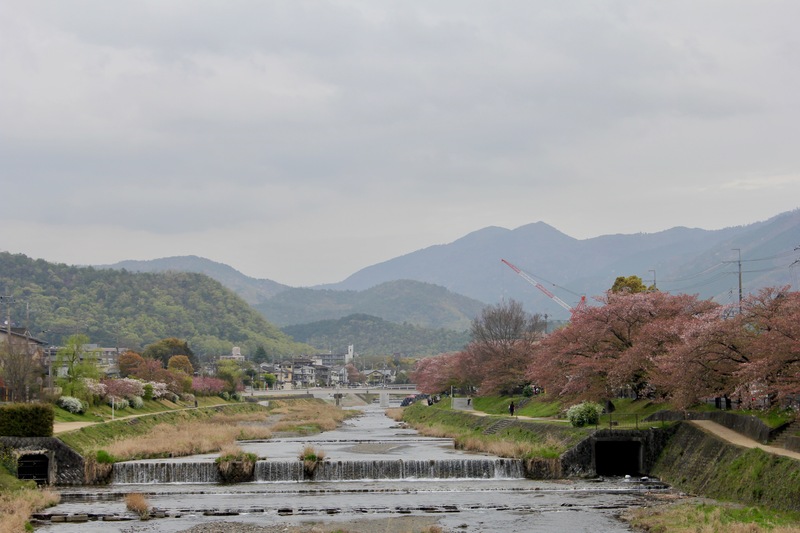 Rather, it is a motley collection of ramblings, and some suggestions of things to do/visit/eat/drink, from amongst those I enjoyed most during our two-week stay in Kyoto in May. To decide if this ‘guide’ is for you, let me say a few words about the kind of travellers that we are. 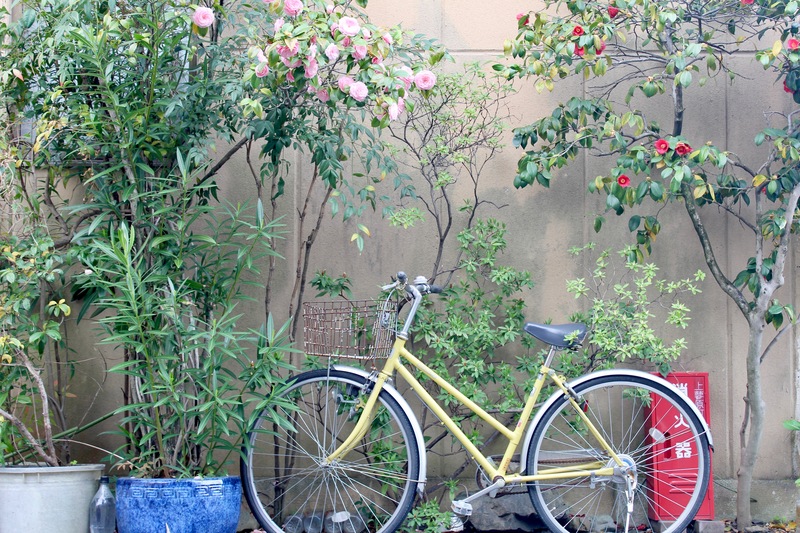 On our second or third day in Kyoto, we hired bikes. Unlike my road bike back home, these were street bikes with wide seats and high handlebars. We stored our bags in the big basket on the front, stored our kids in the kid-seats on the back, and rode sans-helmet, backs straight – leisurely, if you will. Kyoto is criss-crossed by a series of canals, and riding through the backstreets and along those canals, beneath blossom-laden trees, was immeasurably pleasurable. That first day riding, I kept ruminating on how I should get a leisurely street bike back home. Until it occurred to me that I didn’t actually want to transport this bike back to my regular life – that would hardly change the frenetic pace of things. What I wanted was a life – or a holiday, at the very least – in which luxurious, meandering bike rides were an everyday occurrence. English doesn’t really have a word for it, but the French word flâneur – a literary term from the 19th century referring to a (wo)man who saunters, an urban explorer, a ‘connoisseur of the streets’ – is as close a description I can imagine for the kind of travel I aspire to. For starters, with two weeks in Japan, we chose to base ourselves in Kyoto for the entirety rather than move from place to place. 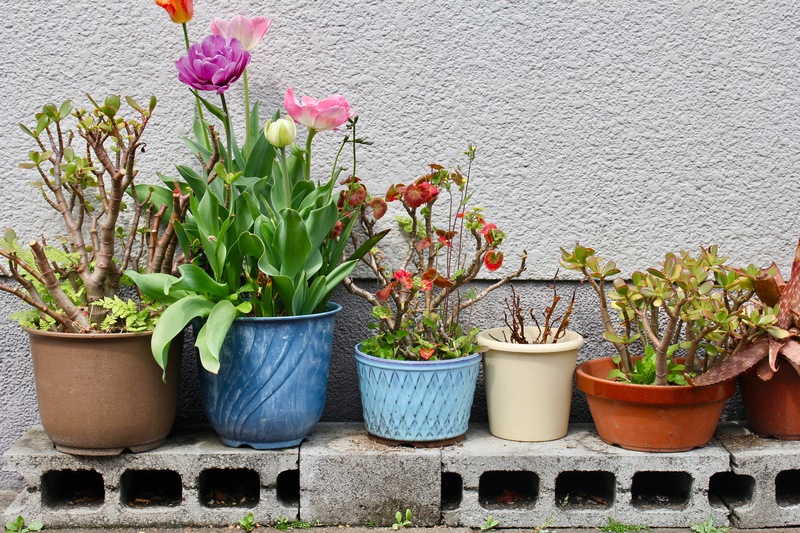 Part of the reason for this was practical – dragging two small kids across Japan sounds as far from relaxing as anything I can imagine – but the real reason is because we wanted to flâneur. I’m not that interested in hitting all the big tourist sites or visiting the five-star restaurants. I like to take my time and – inasmuch as one can in a short span – to get a feel for the rhythms of a place. In Kyoto that meant staying in a little guest house to the north and outside of the central hub, spending our days picnic-ing by the canal under the cherry blossoms (we were lucky to arrive in the heart of sakura), riding bikes through the aforementioned backstreets, visiting the udon noodle soup restaurant at the end of our street for dinner on rainy nights, frequenting our local bakery run by an old Japanese hippie, admiring carefully-tended pocket gardens, discovering small artisan ceramics shops, running around playgrounds, thawing out in onsens, drinking cold beer and warm sake by the riverside. Kyoto is a muted and magical place. You’ll be cycling around and turn a rainy corner to a small bar tucked under eaves punctuated by the dark green hills that surround the city, an image out straight out of a Murakami novel. The sky was washed pale while we were there, the long vistas of the canals overhung by sakura clouds in palest shades of snow and sunset. Originally the seat of the Japanese Emperor, Kyoto’s thousands of Buddhist temples and Shinto shrines are largely intact, seamlessly integrating the historic and the modern. And the food, oh, the food. Sweet + salty mochi, thick slurp-able udon noodles, crispy-edged okonomiyaki, freshly seared tuna, delicately crunchy tempura, umami-rich pickled salads, miso soup clouds, salty rice crackers, toasty genmai-cha, way too much saké. If you want to get straight to the ‘guide’, skip the photos below (and if you like the snaps, you’ll find more here). Bike riding. Kyoto is flat and people of all ages and genders ride, so you’ll be in good company. Navigate via the canals that criss-cross the city. This is hands-down the best way to get your bearings and to discover hidden neighbourhood gems. Sakura. 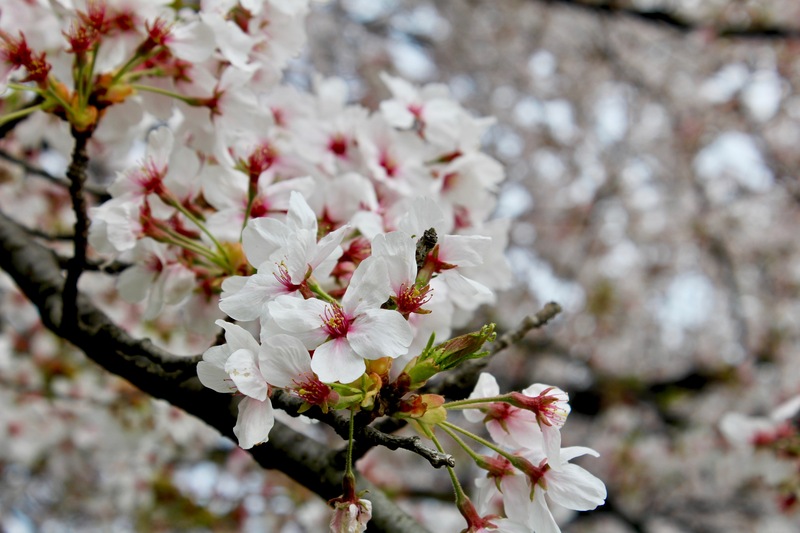 Sakura is the Japanese word for cherry blossoms, and in Japan they have intricate cultural value and meaning. Most astounding of all is that these amazing trees are usually in bloom for a mere week of the year, before the wind blows off the delicate petals, and green leaves begin to unfurl. 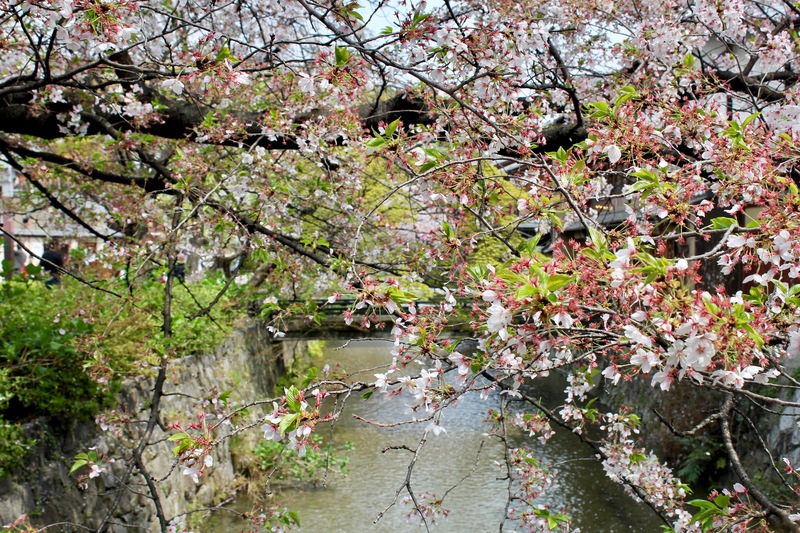 If you are in Kyoto for sakura, don’t feel the need to head straight to the hot spots like the Philosophers Path – the tour groups are just too much to bear. Instead, grab food + beer and head down to the canal to sit under the trees, as the locals do. We did this daily. It was perfect. Funaoka Onsen. Technically a sento, I rode across town more than once to spend an afternoon soaking in the hot waters here. W even came with me, and loved it, too. My favourite was the outdoor bath, lying amidst the carefully-tended pocket garden and watching a slice of rain-washed sky. Philosophers Path. Named for the famous Kyoto-based philosopher Nishida Kitaro – who walked this path to and from university each day – the Philosophers Path is a stone walkway alongside a canal. Picturesque at the best of times, it is impossibly photogenic during sakura (which unfortunately draws mega-crowds). Go early in the morning or in the late afternoon to avoid aforesaid mega-crowds. Bring a beer to enjoy along the way, or get a matcha soft serve, depending on your inclination. Shoren-in Temple. In the popular Higashiyama district, Shoren-in Temple is largely overlooked by the crowds (and especially by the tour groups) and is quiet and beautiful. 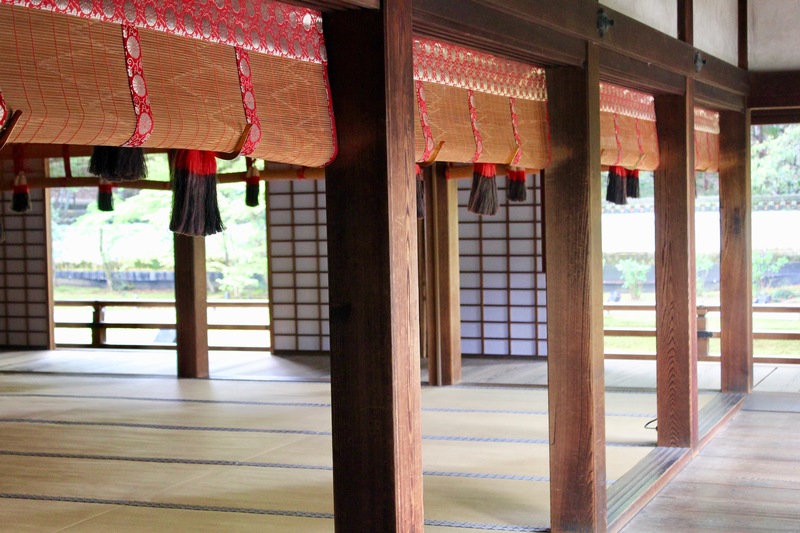 Wander through the tatami-mat rooms, along the wooden walkways connecting various buildings, then fetch your shoes and walk the moss-grown garden paths. Kurama. A short train ride from the city, travel through the suburbs and woods into this tiny hillside town. Climb the steps up to the temple high above, then stop at Yoshuji on the way down for a delightful vegetarian Buddhist meal (I had the amazing soba noodles). Finally, walk up the main street to Kurama Onsen, head straight for the outdoor bath and soak up the steaming waters with a view of the skies and the hills. Akatsuki Coffee. Never have I seen a barista take such care in preparing a coffee, measuring and grinding beans for each order. I recommend the filter coffee. And just a note, this place is designed for quiet contemplation; simple wooden tables and a no-laptop policy. If you’ve got kids, get a takeaway and head to the park across the road. % Arabica. 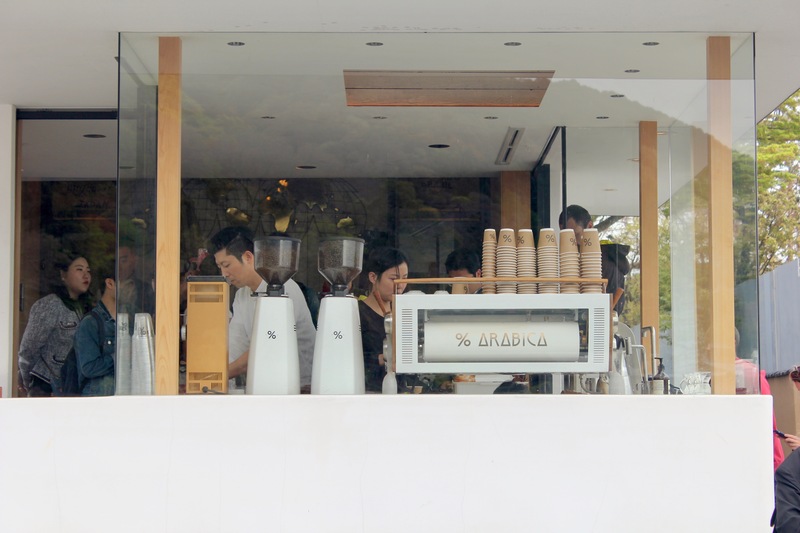 We went to the Arashiyama outlet; the coffee was on point, the fit-out suitably minimalist, and the queue really, really long. Sentido. Done up simply with light wood and grey rendering, we went here a few times for the good coffee and the superb Japanese breakfast. Beer Komachi. In the heart of the Higashiyama district, this small dive-style bar has a great menu of craft beer, including local ones (they had a pear one when we were there that was amazing), as well as small beer snacks like pickled eggplant and spicy octopus. Nishiki Market. 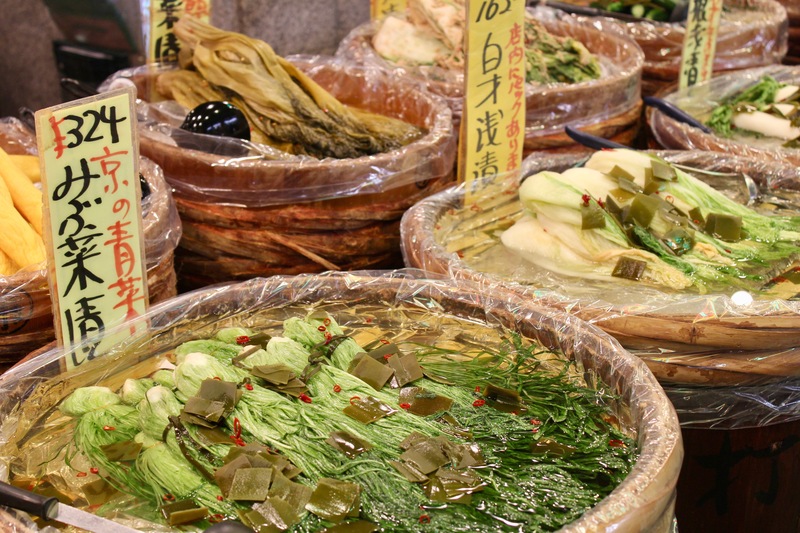 It’s busy with both tourists and locals alike, but visiting a local market is a great way to get a pulse of a city. 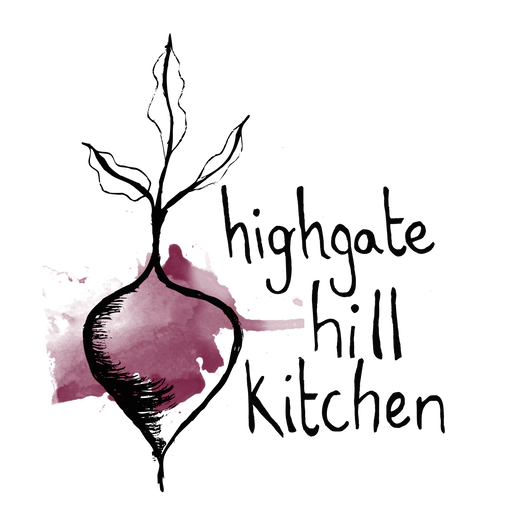 It’s bustling and full of great food. Le bac à sable. A sweet little French bakery (just around the corner from Shoren-in Temple) with a fantastic selection of tarts, both sweet and savoury, and beautiful breads. We went there for breakfast – coffee, juice and fresh bread or croissant – but they also serve soups for lunch. Hardly Japanese, but if you’re in the mood for something a little more European. Your local. Explore. You can read countless websites (and blogs, just like this one…) telling you where to go, but you don’t want to spend every night lining up with fifty other tourists. The best udon noodle soup we found was at a restaurant around the corner from our place (the menu was entirely in Japanese but we muddled through)! And looking for okonomiyaki, we asked the guy who rented us our bicycles; he sent us to a narrow bar with no signage that we never would have found otherwise. Be unafraid. Avril’s Yarn. If you like wool, head here. A huge variety of colours and textures displayed across a big white wall, most of the yarn can be purchased in lots of 100 grams. I ended up with a small mixed bag of wool that I plan to use in a weaving. Stardust. You are stardust on the earth – a beautiful piece of the universe. A shop and cafe in an old wooden carefully-restored machiya. The boutique has a small, gorgeous selection of clothes and bags and glassware and tea, and the cafe at the back serves coffee & cake, or lunch by reservation. Keibunsha Ichijoji. 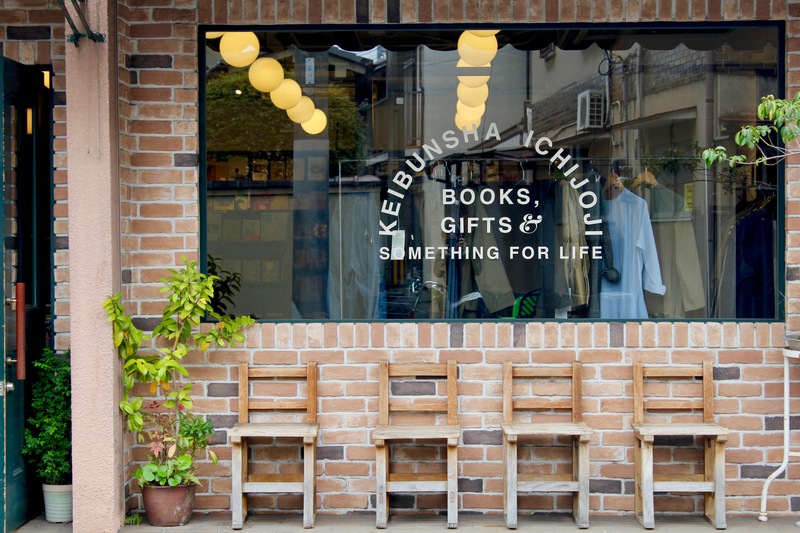 An amazing – and huge – bookstore with a thoughtfully curated selection of home goods, including ceramics, bags, clothing. We got chopsticks and a lovely palm-sized teapot from there. There is also a small gallery at the back of the bookshop. Montique. 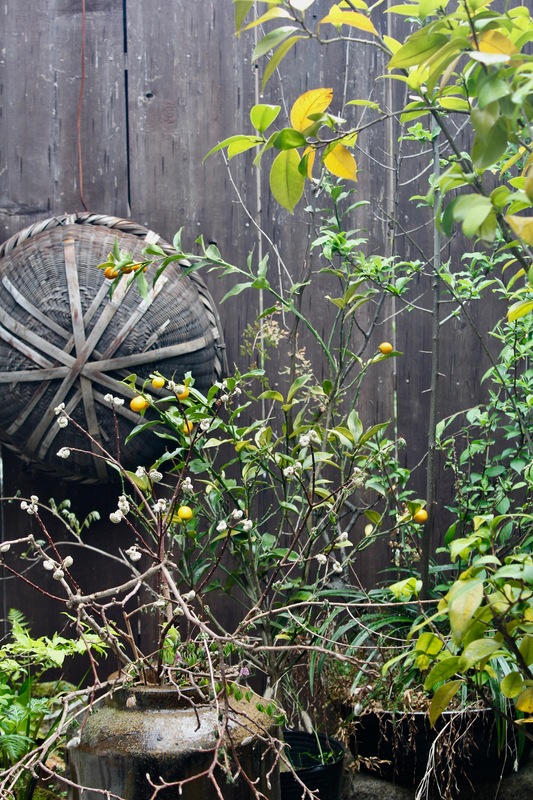 A mixture of artisan and antique pieces from Japan and elsewhere, this place feels old-world. The goods on display and for sale are all so gorgeous. I was tempted by some beautiful linen cloth, but in the end chose two simple vintage glasses, perfect for saké. * With thanks to Local Milk, whose Kyoto Wander Guide introduced me to several of the places above. Thank you for the delightful description of such a lovely place. Reading this is a really peaceful way to start my day.